Wendell is a St. Louis attorney who graduated from Washington University in 1986 and Washington University School of Law in 1989. He is the co-recipient of the first-ever Brauer Innovations in Bankruptcy Law Award in 2005 as well as the Missouri Bar’s Roser Award for Excellence in Bankruptcy Practice Award in 2014. For 2017-18 he is serving on the American Bankruptcy Institute’s Commission on Consumer Bankruptcy. He has also served as co-chair of the Bar Association of Metropolitan St. Louis Bankruptcy Committee, as well as numerous local rule and procedure committees with the bankruptcy court. In the past he has represented bankruptcy trustees as well as creditors. He has co-written legislation improving the property exemptions for Missourians facing bankruptcy. A regular speaker in national and state bar events, Wendell also founded the Debtors Attorneys of Metropolitan St. Louis (DAMSL) with Joseph A. Swope, Jr. They currently manage the DAMSL listserv as a cooperative effort of local attorneys representing consumer debtors in Eastern Missouri and Southern Illinois. Wendell is also active in the National Association of Consumer Bankruptcy Attorneys (NACBA) as well as NACBA’s listserv. He was a NACBA Member of the Month in 2007 and ranked among the top 3 consumer bankruptcy lawyers in the (completely unscientific) Missouri Lawyer’s Weekly “Best of…” Polls for 2007 and 2008. Wendell’s wife, Rebecca, works with him in the office. Their children are rescue dogs. He is the owner of the St. Louis consumer law firm SherkLaw as well as a member of the National Association of Consumer Bankruptcy Attorneys, the American Bankruptcy Institute, and the Missouri Bar. 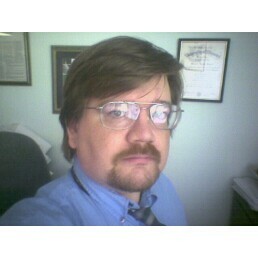 His office: SherkLaw, 9666 Olive Boulevard, Suite 365, St. Louis, Missouri 63132. His office number is (314) 781-3400.